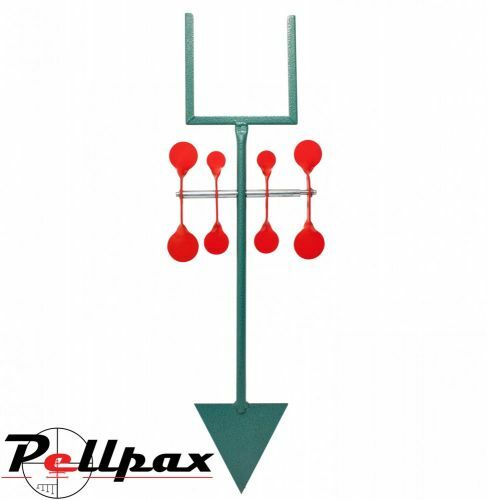 Check out this highly adaptable paper target holder and spinning target stand. You can use it card-based scoring targets, or just use the spinner. The tough steel build ensures it will last. Height when fixed into ground is 60cm x 40cm.